If we were already talking about how to win followers on Instagram, and we want to continue down that path to success, then we have to stay up to date with what’s going on today. It’s important to continue to pay attention to the latest trends and to be aware of what to upload on Instagram to get likes. Let’s review what’s in fashion currently, so you can accumulate more and more likes. #nosehairextensions. 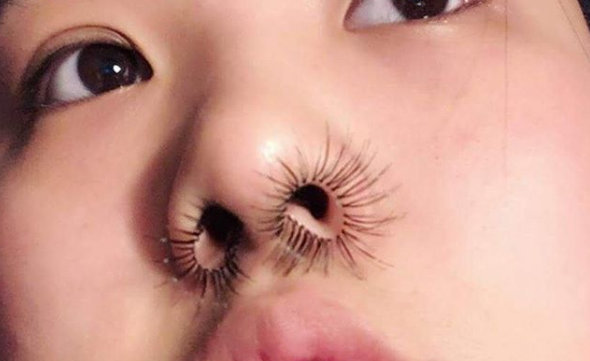 This hashtag collects all the publications about good nosehair extensions. If you want to know what to upload to Instagram to get likes and attention from the community, this is a trend you need to follow. Jewelry for the teeth. This viral fashion, like so many others, we owe to Kim Kardashian. Other celebrities such as Rihana, Madonna or Chris Brown have already posed with metal between their teeth. Be careful though! Leave this to the people with millions to fix their teeth. Realfood. There’s a surge on Instagram of real-fooders,- users who eat only real food, avoiding sugar and processed food. In addition to spreading healthy habits, they fill Instagram with beautiful, colorful, and appetizing recipes. One of the hashtags you can use to share real-fooder content is #smoothiebowl. Scooby doo pa pa. This is the dance that Lele Pons made go viral. It’s a song by DJ Kass. If you like the idea and upload your song, don’t forget to add the hashtag #scoobydoopapa so you can reach a large number of people. #Durachallenge. Daddy Yankee has got the Instagrammers dancing to their new release, Dura. If you put #Durachallenge in your search engine, you’ll see the videos from everyone who has already signed up for the challenge. We at SocialPubli.com hope that you will be the person who gets the most “likes”, thanks to these trends.